What is Perfect Peace Yoga? The reason this venture is titled Perfect Peace Yoga derives from the Bible verse: “You will keep in perfect peace those whose minds are steadfast because they trust in You” – Isaiah 26:3. Perfect Peace seems like a bit of a tall promise, but it is an amazing depiction of the bhakti yoga essence. Bhakti Yoga is the yoga of devotion. Often this form of practice is expressed via chanting, kirtan and other modes of love expressed for the Lord. The main premise of bhakti can be summarized with a two-way street metaphor. We offer up our praise because we are not in this experience alone. We reach from our heart and finding love for our Creator, we run to God. God feels our grasp and loving us unconditionally runs towards us as well. No one has to go the distance themselves. On the two street of devotion, me (and you) and God meet each other half-way. Perfect Peace is that half-way point; that meeting of you and God. It requires effort from you: a mind kept steadfast on the Lord. And the grace we receive for our efforts is that the Lord reaches back and grants us peace. We are given peace not by problems taking their leave, but rather by experiencing calm amidst the chaos; peace perfected from within the storm. I write about this topic because I am a peace seeker, too often living in the throes of chaos and worry. Bitter chaps Worry and Chaos have over time become signs that I am not keeping my end of this bhakti bargain. When I feel worry (and am able to step out of it for a moment), I can recognize where my mind is not: on God. Wendy Maines has practiced yoga for over twenty years, starting in law school as a means for calming frazzled nerves. Seeing the peaceful benefits of spiritual and physical expansion, she became a 500 hour Yoga Alliance registered teacher. She has been teaching since 2010 and shares a vinyasa based practice infused with elements of strength, grace and gratitude. 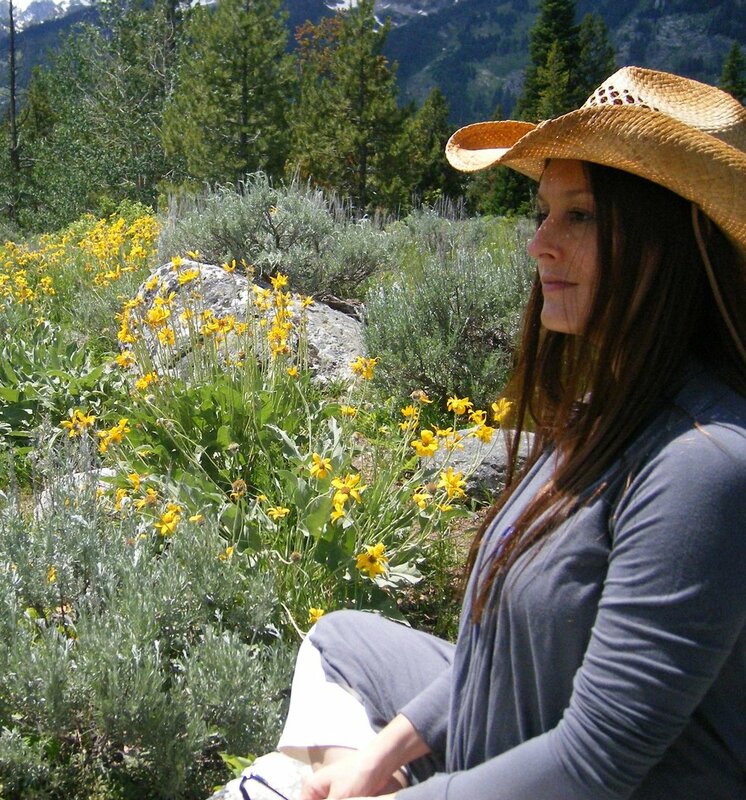 She maintains certifications in Holy Yoga, Holy Yoga Touch, Pre-natal and Kundalini yoga. Wendy is also an essential oils enthusiast incorporating Young Living oils into her yoga classes and daily wellness routines. Once exposed to the amazing prevention and healing properties of essential oils, Wendy then began a quest to rid her household of all toxic products and pervade her practice with oily support. Wendy lives in Alexandria, Virginia with her husband and daughter. They both add a blessed element to her daily practice. Jai! On the mat, Wendy’s philosophy is “teach to serve”. Off the mat, you’ll find her consulting with law librarians, nose deep in a book, trying out new veggie recipes, or hanging with her family in Del Ray, Alexandria. This recognition grounds me to where I should be: doing my part to obtain peace, which is maintaining a steady mind. I can offer up a prayer of gratitude, a petition for help, a praise for my blessings and immediately feel more at ease. Viola! The source to peace. Of course, being human I will quickly fluctuate out of this state and morph back into old, less tranquil habits. So the process begins anew each day, several times a day. It is a Perfect Peace Practice. I’ll close with a quote from Yogi Bhajan, “If you want to learn something, read about it. If you want to understand something, write about it. If you want to master something, teach it.” I crave more peace in my life, in our home, on this planet. So, I will do my best to establish peace by teaching myself and others the lessons I’m learning through this yoga practice. I hope you will join me on the journey.